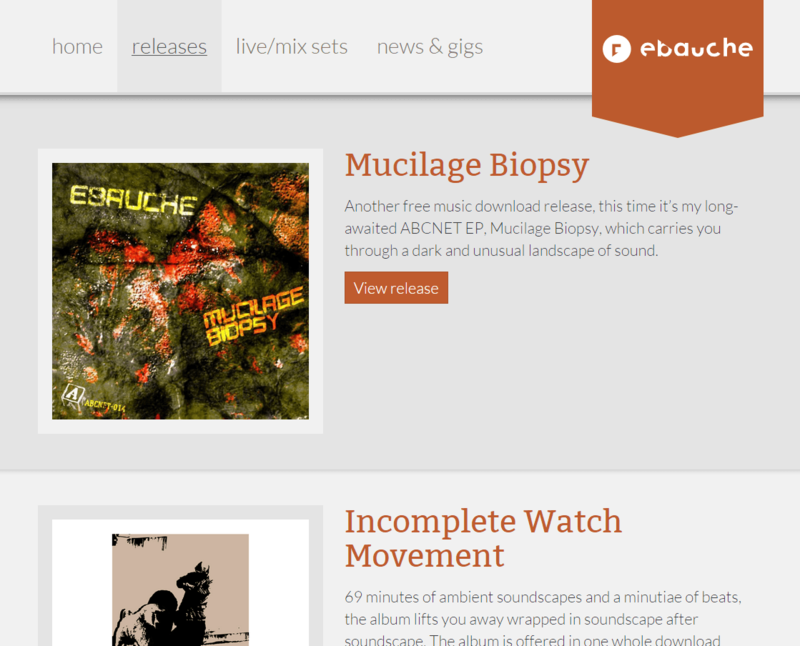 It’s been a long time coming but my musical alter-ego, Ebauche, finally has a new website! Check out a screen capture below, and pop over to the site to have a look through the music on offer, including free mixes and live sets, and all my releases. It’s designed to work on all devices whether you’re browsing on a phone, tablet or computer, and includes easy to use audio players from Bandcamp and MixCloud. Want to keep in touch with the latest Ebauche news?